WHAT: Nine-time Grammy-winning artist John Legend makes his debut performance at Walt Disney Concert Hall on Wednesday, March 26, 2014 at 8 p.m. as part of his 2014 North American tour, “An Evening with John Legend: The All of Me Tour.” The concert will feature John in an intimate and acoustic setting, highlighted by guitar/vocal accompaniment as well as a string quartet. The tour comes in support of Legend’s highly acclaimed fourth studio album, Love In the Future, which continues to gain momentum on the Billboard 200 Chart and currently sits in the top 10 on the R&B Album Chart. Produced by Legend and longtime collaborators Kanye West and Dave Tozer, the album’s smash single, “All of Me,” was recently certified Gold sales status. 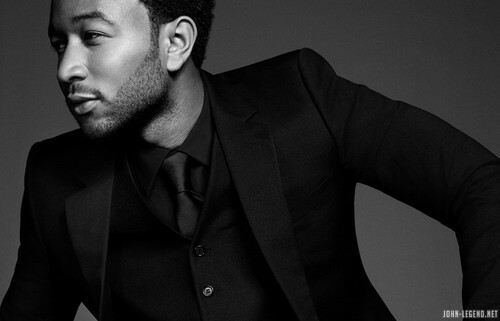 Ohio-born John Legend is a critically acclaimed, multi-award winning, platinum-selling singer-songwriter. He’s sold an impressive seven million albums worldwide. His work has garnered him nine Grammys, three Soul Train Awards, the BET Award for Best New Artist and the special Starlight Award from the Songwriters Hall of Fame. A graduate of University of Pennsylvania, where he studied English and African-American literature, Legend participated in a wide range of musical activities while in college. During the same period, Legend was introduced to Lauryn Hill, who hired him to play piano on her track “Everything Is Everything,” and shortly thereafter he began to play shows around the Philadelphia area, eventually expanding his audience base to New York, Boston, Atlanta and Washington D.C. After college, Legend was introduced to then up-and-coming hip-hop artist Kanye West, who quickly signed Legend to his G.O.O.D. Music imprint and hired him to sing vocal hooks on some of his music. Legend started gaining momentum through a series of similar collaborations with established artists, adding vocals to an impressive list of chart-topping hits including West’s “All of the Lights,” Jay-Z’s “Encore” and back-up vocals on Alicia Keys’ 2003 song, “You Don’t Know My Name.” Legend’s debut album, Get Lifted, was released in December of 2004 through Columbia Records. The critically acclaimed album spawned the artist’s first hit single, “Ordinary People,” and scored Legend multiple Grammys in 2006, including Best R&B Album, Best New Artist and Best Male R&B Vocal Performance. The follow up was 2006’s platinum-selling Once Again, which brought Legend another Grammy, Best Male R&B Performance, for his single “Heaven,” and included collaborations with Kanye West, will.i.am and Raphael Saadiq. Legend’s next release was 2008’s Evolver, led by the hit single “Green Light” featuring Andre 3000. Legend’s most recent effort was his 2010 collaboration with the Roots, Wake Up, which won the Grammy for Best R&B Album a year later. Throughout his career, John has worked to make a difference in the lives of others. In 2007, he launched the Show Me Campaign (ShowMeCampaign.org), an initiative that focuses on education as a key to break the cycle of poverty. The 2010 BET Humanitarian of the Year award, the 2009 CARE Humanitarian Award for Global Change, the 2009 Bishop John T. Walker Distinguished Humanitarian Service Award from Africare and the 2011 Harvard Foundation Artist of the Year Award recognize Legend’s efforts and leadership in this arena. John sits on the boards of The Education Equality Project, Teach for America, Stand for Children and the Harlem Village Academies’ National Leadership Board.